Looking for a unique gift for Valentine's Day or your Wedding Anniversary? 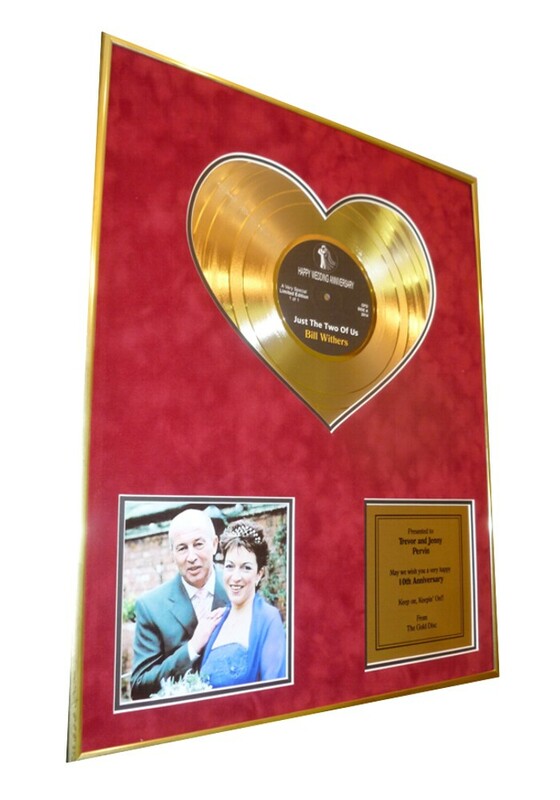 The personalised Heart Of Gold discs are ideal. These beautiful discs are available in gold with a vibrant red suede double mount. The centre of the disc is can be personalised with the name of the first wedding dance song or a special song of your choosing and the artist. The dedication plate is for you to add a personalised message over 4 lines. You are limited to 60 characters per line. You also add a photo to make this an extra special memento (12 inch version only). Please use the upload facility to add your required image.